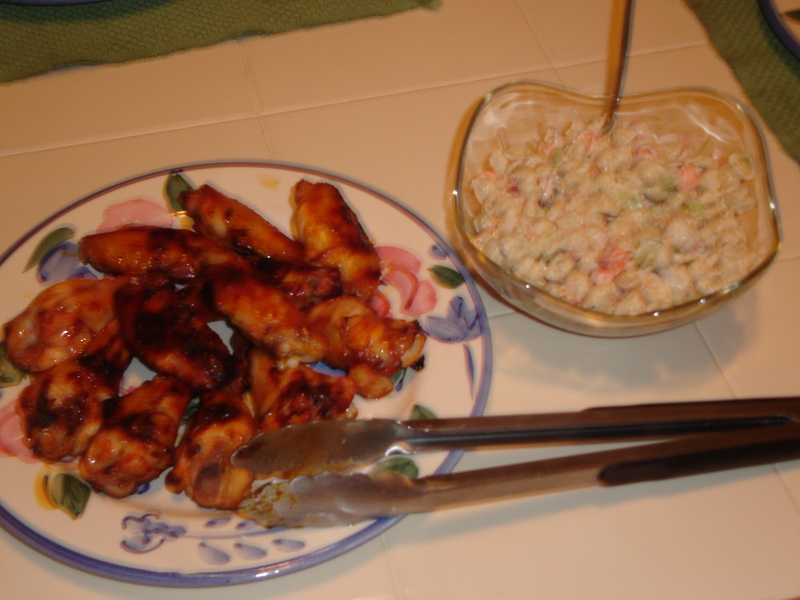 Buffalo Chicken Wings the easy way ! Like wings but hate dealing with the messy oil ? Try grilling your wings next time. Begin with Perdue wingettes and Lawry’s Buffalo BBQ sauce. 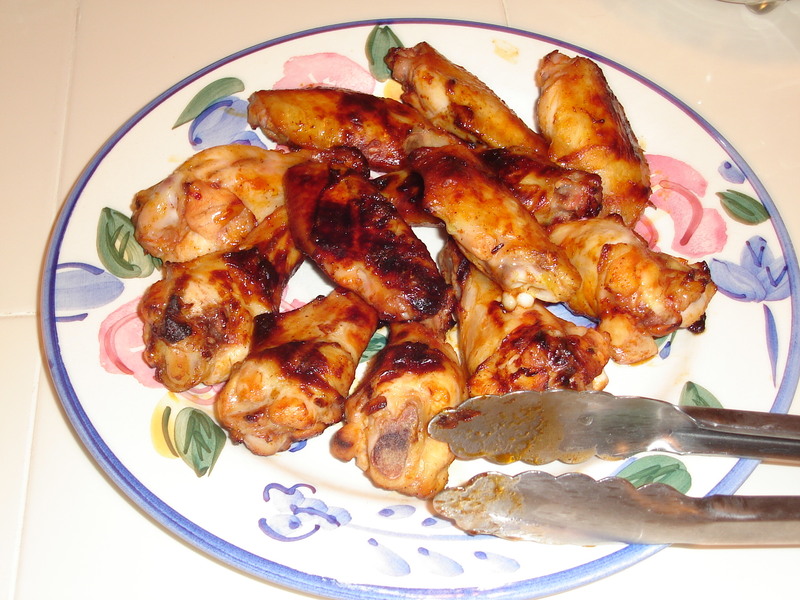 Marinate the wings well early in the morning and let them rest in the refrigerator until you’re ready to grill. When its grill time, set your grill up for indirect grilling with high heat using the 3 second measuring technique. 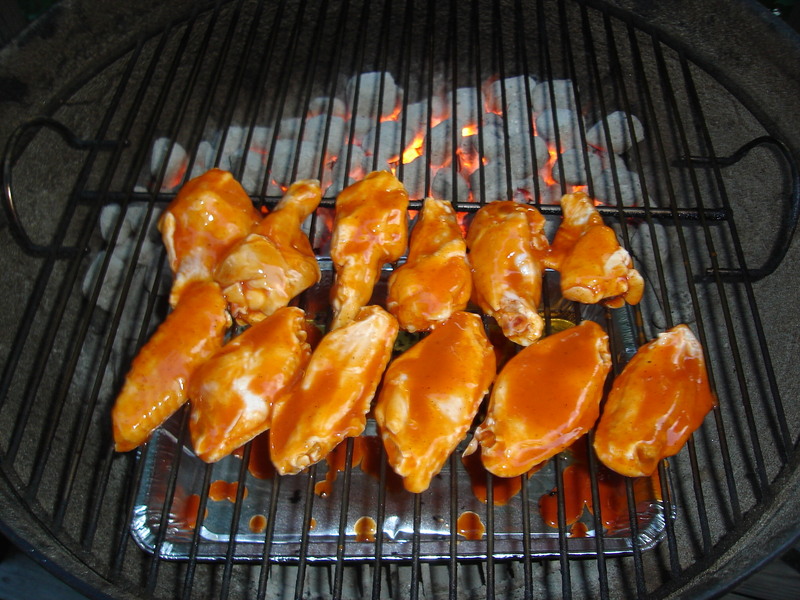 Clean and oil your grill grate and place the wings on the cool side. Grill covered for 15 minutes,flip, and grill for another 15 minutes. 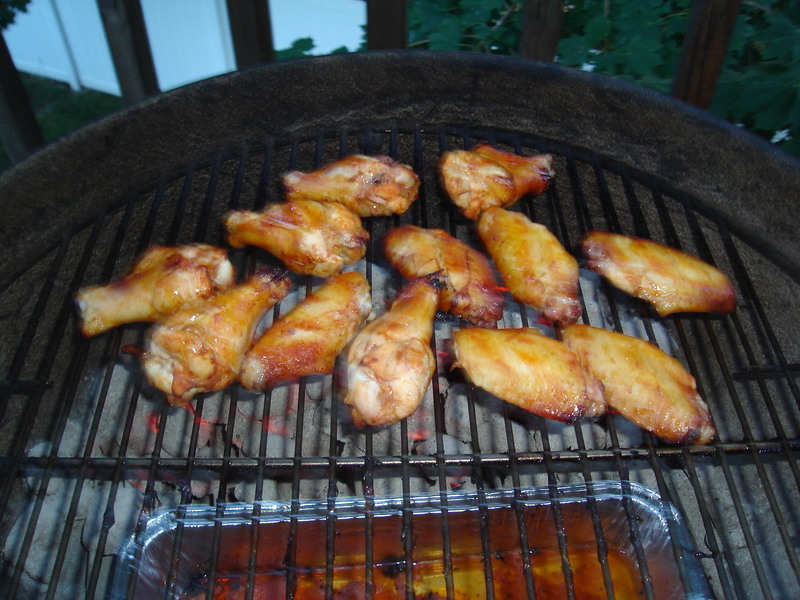 Next, place the wings over the coals and grill covered for 1 1/2 minutes. Flip and repeat. At this point, the wings should have a nice grill char and you’re ready to eat. Pair this with a nice pasta salad and you have a nice simple meal that lets everyone know that you are the Master of the Grill !